Kevin J. Keane, CPA, is the managing partner and a member of the executive committee of O’Connor Davies Munns & Dobbins, LLP. He has over 30 years experience providing accounting and business advisory services to businesses in the real estate, construction and distribution industries. Kevin serves on boards and finance committees including the Irish Arts Center, Archbishop Stepinac High School, and The John E. Coleman School of the Elizabeth Seton Pediatric Center. 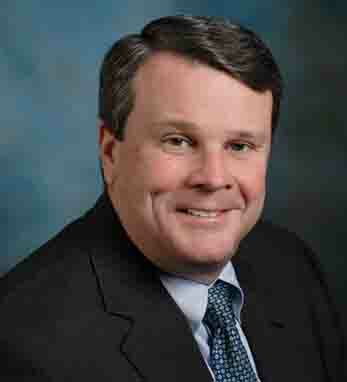 He is a director and founder of The Westchester Bank. Kevin holds an MBA in corporate finance from Pace University and a BS in accounting from the State University of NY at Albany. Kevin is a second-generation Irish American whose grandparents came from Cork and Clare. A member of the Friendly Sons of St. Patrick, he says that “Irish heritage and traditions have been the cornerstone of my family and my beliefs, enhancing my abilities and my success in business.” Kevin is married with five children and lives in White Plains, New York.